Hot! 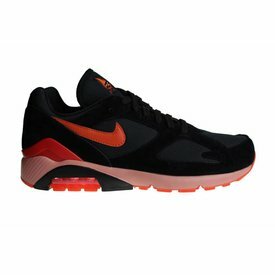 Nike Air Max 180 "Fire" for men. 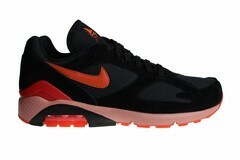 These men's sneakers are released with a very separate tong: it contains a fantasy fire caricature. These Nike Air Max 1 sneakers for men looks very much like the Nike Air Max 1 OG "Black Mesh" from the year 1999. We like this model very much!